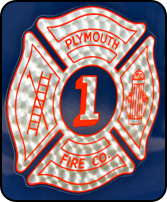 Serving the Plymouth Meeting area jointly with the Harmonville Fire Co., the company’s 55 members (including 12 juniors) respond to 500 calls annually providing Fire & Technical Rescue services. 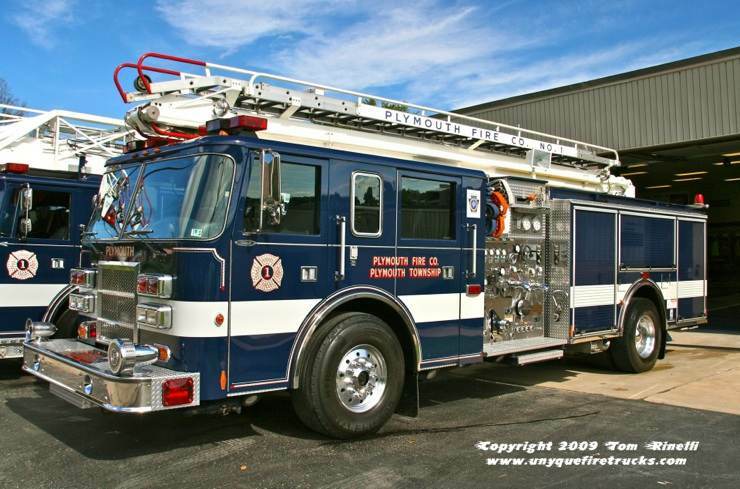 Squirt 43 - 1999 Pierce Dash 55’/1500 gpm/500 gal. The boom on this rig was re-mounted from the company’s former 1974 tele-squirt. 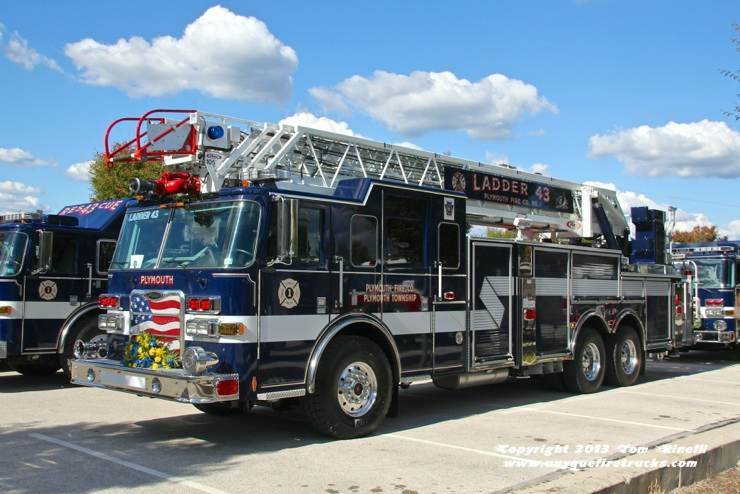 This rig replaced a 1993 Pierce Arrow 105’ rear mount aerial. 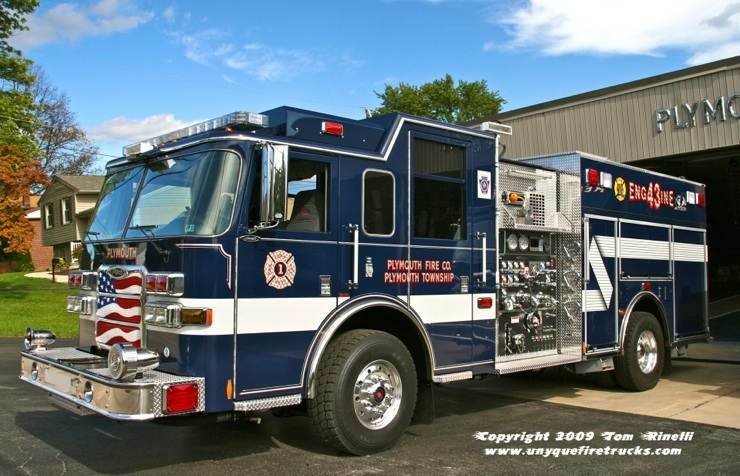 Engine 43 - 2009 Pierce Arrow XT 1500 gpm/750 gal. 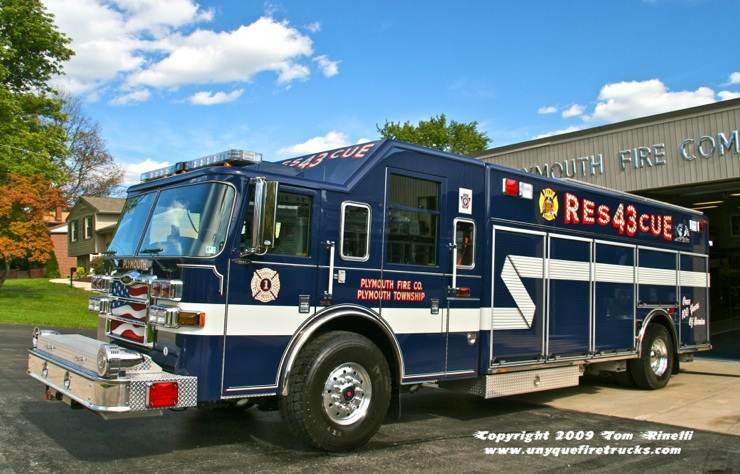 Rescue 43 - 2007 Pierce Dash 500 gpm/300 gal. This rig is equipped with a light tower, 4 bottle cascade system with explosion proof fill station, portable winch with side & rear receiver plates and a mini-fridge. It’s equipment complement includes pre-connected Hurst tools (both sides & front bumper), a portable air cart, saws, RIT pack & ground ladders. Special thanks to Battalion Chief Mitch Kijak for his assistance in arranging this photo shoot & providing information on the apparatus. 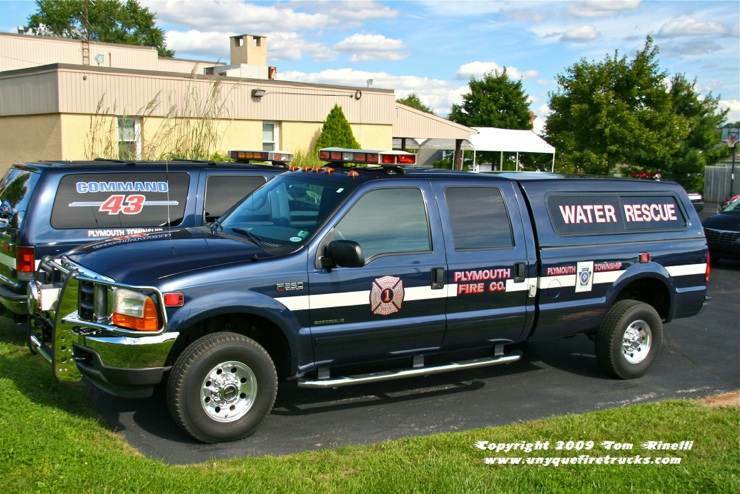 So, what’s the story behind the Navy Blue color of Plymouth’s apparatus? 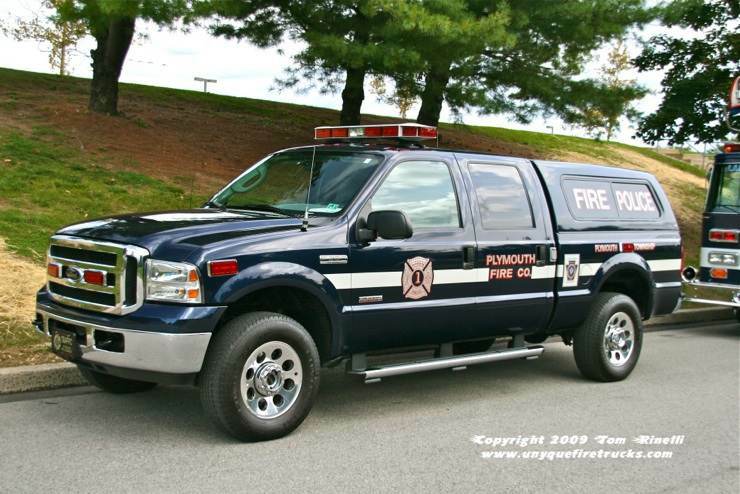 Apparently, many years ago the members of the company decided they wanted to clearly distinguish themselves from the other fire company (Harmonville) serving the township hence the Navy Blue color that has been standard for decades among Plymouth’s apparatus.